Posted on July 10, 2009 . In French cuisine, a quiche is a baked dish that is based on a custard made from eggs and milk or cream in a pastry crust. 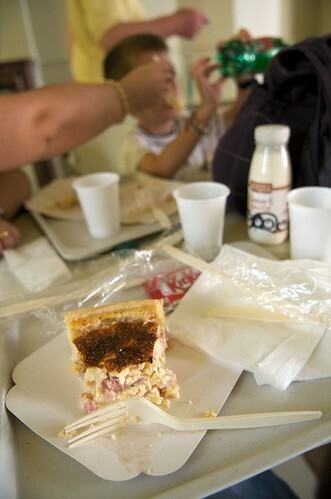 In addition to the eggs and cream, the Quiche Lorraine variety includes bacon or lardons.